How Do I Create Multi-Vari Charts in Excel Using SigmaXL? The Multi-Vari chart is a powerful tool to identify dominant Sources of Variation (SOV). The three major “families” of variation are: Within Unit, Between Unit, and Temporal (Over Time). We will look at examples of each type of SOV and then use the Multi-Vari Chart to study Overall Satisfaction in the Customer Data.xlsx file. Open Multi-Vari Data.xlsx, click Sheet Within. 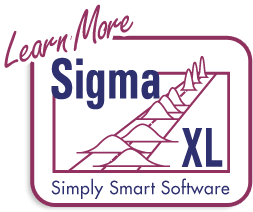 Select SigmaXL > Graphical Tools > Multi-Vari Options. The charts shown will be updated as options are selected. Note that they are for demonstration purposes and are not based on the Multi-Vari Data.xls data. Ensure that all general Options are selected (Range Line, Individual Data Points, Min and Max, Standard Deviation Chart). Select Mean Options, ensure that Show Means, Connect Means, and Group Means are checked. Ensure that Save Defaults is checked. These settings would be typical for a Multi-Vari chart. (The Median options provide the ability to display percentiles as an alternative to the Means). Tip: Multi-Vari Charts can be used to display Confidence Intervals. To do this, check the 95% Confidence Interval. Click Finish. SigmaXL automatically starts the Multi-Vari Chart procedure (this is equivalent to clicking SigmaXL > Graphical Tools > Multi-Vari Charts). Check Use Entire Data Table. Click Next. Note that the input X’s can be text or numeric but should be discrete. Y’s must be numeric - typically continuous, but can also be count or proportion data. Select Measurement, click Numeric Response (Y) >>; select unit, click Group Category (X1) >>; select time, click Group Category (X2) >>. Using Multi-Vari Data.xlsx, click Sheet Between. Select SigmaXL > Graphical Tools > Multi-Vari Charts. Check Use Entire Data Table. Click Next. Using Multi-Vari Data.xlsx, click Sheet OverTime. Select SigmaXL > Graphical Tools > Multi-Vari Charts. Check Use Entire Data Table. Click Next. Open Customer Data.xlsx, click Sheet 1. Select SigmaXL > Graphical Tools > Multi-Vari Charts. 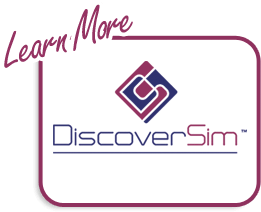 Select Overall Satisfaction, click Numeric Response (Y) >>; select Customer Type, click Group Category (X1) >>; select Size of Customer, click Group Category (X2) >>; select Product Type, click Group Category (X3) >>. Examining this Multi-Vari chart reveals that the dominant Source of Variation is “within” Customer Type, followed by “between” Customer Type. Furthermore, it would be worthwhile to examine the combination of Customer Type 2, Customer Size Large, and Product Type Consumer. Other tools that can help us identify potential X factors that may explain some of the large “Within” variability are the Scatter Plot, Scatter Plot Matrix and Correlation Matrix.